One of the core beliefs here at the Cotton Tree Lodge is being mindful. Whether it is manifested in the hiring of our staff, the design of our excursions, or how our guests are treated, we truly believe that traveling must be undertaken with intent, joy, and kindness. That is why we have partnered up with some amazing organizations to further this experience for not only our guests, but for our staff as well. One of our partners is called Pack for a Purpose, an organization that asks guests to take a bag of needed supplies to their traveling location. Once the travelers arrive in their destination, they deliver the supplies to the accommodation or tour company which supports that specific community project(s). Sometimes, it is possible for a traveler to visit the project. This is organized with the help of a coordinator and the accommodation manager, and it is truly a wonderful experience for all involved. 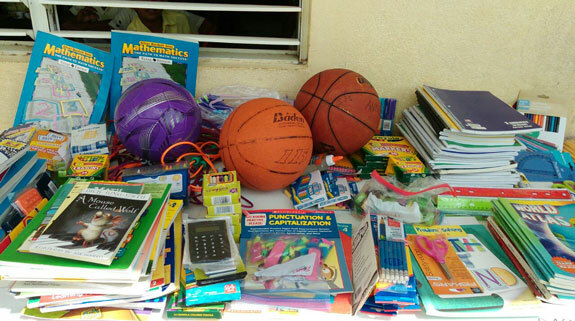 Recently, CTL staff had just finished separating some school supplies for the upper and lower level classes in the surrounding villages of Santa Ana and San Felipe. Coincidentally, new guests (Greg Hopkins and Lisa Robinson) checked in and shared that they had brought a whole suitcase of school supplies in order to Pack for a Purpose. Lisa is a 5th grade teacher from the United States and even brought hand-written letters from her students to the students in these villages. Lisa and Greg asked if they could be a part of the process, which made us feel so proud of this program. We combined their supplies with what we had from other guests, coordinated a time with the schools, and ventured off to deliver the supplies. 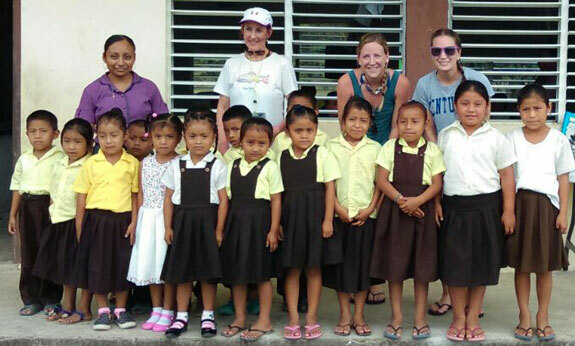 When the CTL staff and 4 guests arrived at the school, one could see incredible joy spread across everyone’s’ faces. 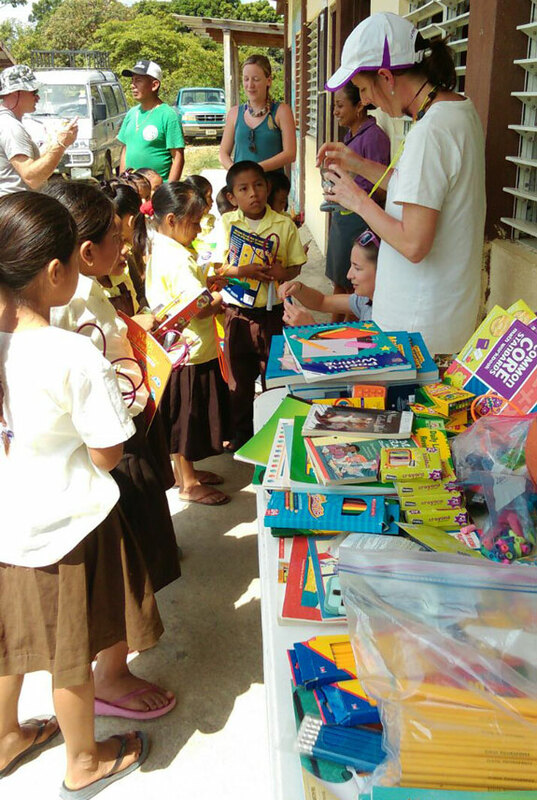 Not only did the guests watch the kids open the supplies, but they were able to interact with them during the school day. Lisa read a book she brought to one of the 5th grade classes, while some of the other guests jump roped or played around outside. It was a cherished moment that will not be forgotten. 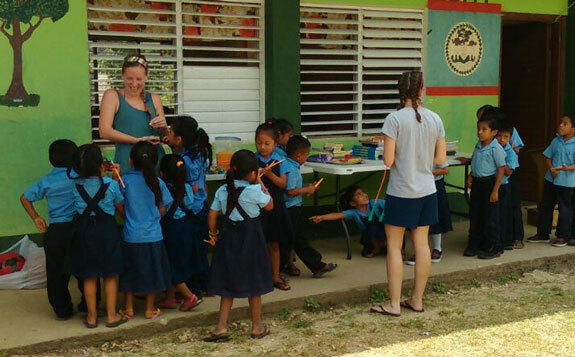 As you can see, Pack for a Purpose does much more than provide needed supplies to various community projects. It also provides a place for people of different cultures to meet and interact with each other. It creates this feeling of the world being both big and small all at the same time in a kind and mindful way. Cotton Tree Lodge partners with organizations such as Pack for a Purpose because they serve a greater good and offer opportunities for our guests to give back to the communities they are visiting in a way that makes them feel like they are making a Big Impact.